Enter the postcode and property type you are moving from and to. If either property is a flat, please enter the floor that the flat is on and tick the box if a lift is available. As a general rule, a large item is a piece of furniture that requires 2 people to lift and/or carry. We give you as many boxes as you think you may need completely free of charge and deliver them to your door. They are high quality, heavy-duty double wall boxes, suitable for all household items. Q. What if I need more boxes than I first think? Q. What if something is too large to fit in one of your boxes? A. 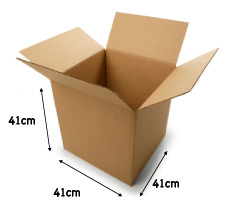 Using a few of your own boxes is acceptable but all items should be packed into our boxes where possible. As a general rule, small items are those, other than boxes, which can be comfortably lifted and/or carried by one person.